TEST DRIVE THE NEW OFFICE 2007 ONLINE FREE! You are just a few clicks away from a free online test drive of the latest version of Microsoft Office programs. Take them out for a spin in this quick, easy-to-use, browser-based trial experience. The real-time test drive does not require product installation or download—it's the fastest way to try out 2007 Microsoft Office system programs. In just minutes you can start exploring Microsoft Office through your Web browser on your own, or follow the step-by-step tutorials to experience all of its useful features. Articulate: PowerPoint to Flash - Easy! The folks at Articulate invited me the other day to download their program and try it out. I had been using Macromedia Breeze to create PowerPoint - to - Flash tutorials and presentations, but when I finally quit my job at Honeywell I had to say a sorry goodbye to Breeze. The download and install are simple, and like Breeze, Articulate shows up as a menu item in PowerPoint. 2. Record the narration for each slide. 3. Publish the presentation to Flash format for web use like the example shown here where I created a tutorial for Brainy Betty users. The nice thing about using Articulate is that the supporting materials - a pdf. manual and online tutorials make it very simple to become adept at - but the really cool thing about using the Presenter PRO program is that it allows you to create neat quizzes and surveys within your Articulate presentation that bring a great aspect of interactivity to your presentation as well. It keeps people engaged in what you are saying or telling or teaching and allows them to work back and forth with the content. You can create Articulate for the web of course with the flash component, but you can also publish to LMS (learning management systems), CDs, and other deployment methods. Do go check it out and try it. It's a fabulous value for the price and you'll be creating rich content and fantastic, engaging presentations in no time! 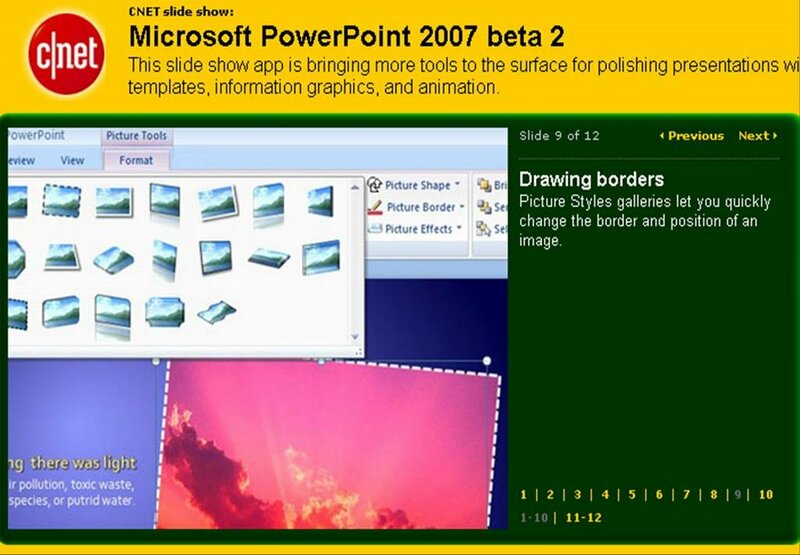 Take a look at the new charts in PPT 2007! Take a look at Brendan Busch's Blog and see the difference between the old PowerPoint charts and the new ones you can create with the new version. It's pretty amazing.